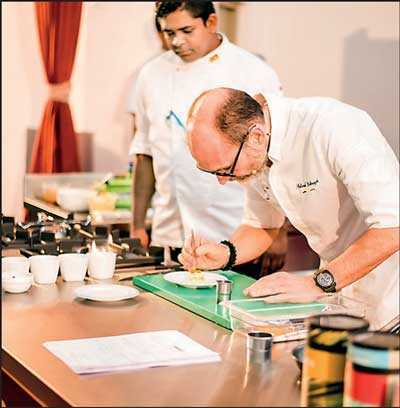 Bocuse d’Or Sri Lanka’s selection of candidates for the culinary world’s most prestigious competition began on 1 April with a master class featuring Michelin-starred Chef Roland Debuyst. 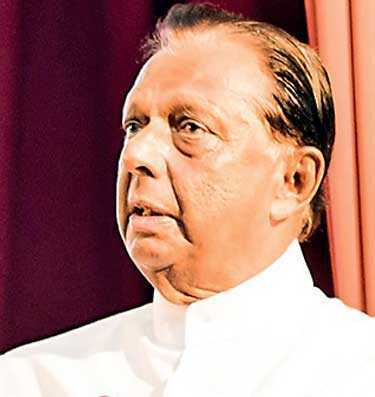 The event was held at the Sri Lanka Institute of Tourism and Hospitality Management (SLITHM) Auditorium in Colombo under the patronage of Minister of Tourism and Christian Development Affairs John Amarathunga. Sri Lanka Tourism Promotion Bureau (SLTPB) and Sri Lanka Tourism Development Authority (SLTDA) Chairman Kishu Gomes, Ceylon Hotel School Graduates Association’s (CHSGA) Samantha Gunarathna and Trevin Gomez, SLITHM Chairman Dilip De Silva, Bocuse d’Or Sri Lanka President Rohan Fernandopulle and the Committee of Bocuse d’Or Sri Lanka were also present. The first master class for Bocuse d’ Or Sri Lanka featured Michelin-starred and Bocuse d’Or silver medalist Chef Roland Debuyst. The class was attended by 35 teams of Chef and Commis from around the island who will participate in the finals of Bocuse d’Or Sri Lanka. 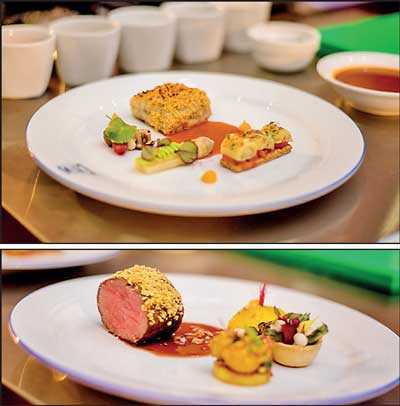 The teams will complete two courses of fish and beef meals with all the trimmings at an allotted time and will be judged on their kitchen skills, time management, plating and taste. The winners will represent Sri Lanka at the Asian Finals to be held in China. “Sri Lanka has been gaining much international exposure with title of ‘Top travel destination for 2019’ by Lonely Planet and other mentions on BBC for Sri Lankan food, etc. 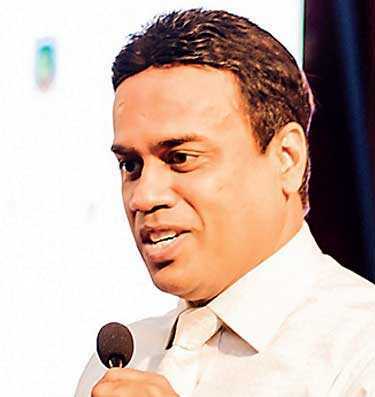 Hence this a great opportunity and platform to take the brand Sri Lanka further into the international culinary arena,” said Fernandopulle, the President of Bocuse d’Or Sri Lanka. “As a non-profit organisation, giving back to the industry, we are extremely grateful to all our partners and sponsors Dilmah, SriLankan Airlines, Sri Lanka Tourist Board, CHSGA, SLITHM, CDC Events, Palladium, Pragmatic, Round Island, Nestle, US Meat, Anchor, Upfield, Flipit, Chewy Cinnamon, East West, Queens Work Wear, Nehemiah Consultants and TNL Radio,” added Bocuse d’ Or Sri Lanka Promotions Manager Daesaman Wimalasooriya. Paul Bocuse created the Bocuse d’Or, a revolutionary gastronomy contest. 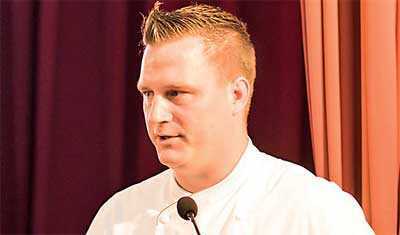 Replicating the codes of major sporting events, he imagined a true show placing the emphasis on cooking and on the chefs. A professional tradeshow dedicated to gastronomy is conducted in Lyon, France. Bocuse d’ Or Sri Lanka is a non-profit organisation consisting of renowned chefs and hospitality industry professionals dedicated to uplift the culinary standards of Sri Lanka and facilitate the appointment of local candidates for the Bocuse d’Or competition. In addition to the competition it conducts a variety of master classes and trainings by international chefs to support local chefs.